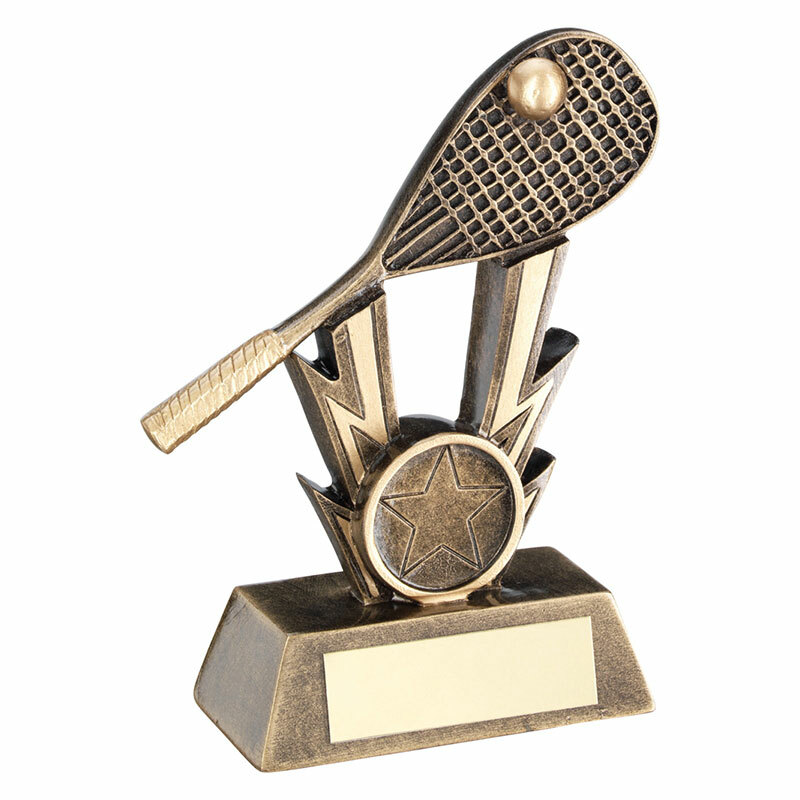 These resin squash awards feature a squash racquet and ball mounted on a bevelled base with engraving plaque. They stand 3.75in (95mm) tall and are ideal for a wide range of squash awards, from competition prizes to club awards to individual player trophies. Offered with low, fixed-cost engraving of the base plaque.